Dragon Quest XI has been recently confirmed to land on Western shores on September 4th. The Japanese roleplaying game will be available on PC (a first for the main series) and PlayStation 4, with a Nintendo Switch version coming much later due to having to update the Unreal Engine 4 version according to Square Enix. 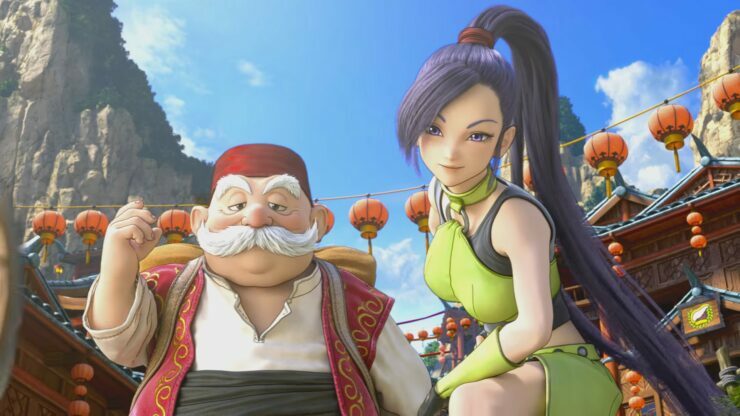 Talking to EDGE magazine (May 2018, issue 318), series creator, designer and writer Yuji Horii revealed why the developers elected not to make DQXI a truly open world as it is common nowadays. If you’re going for a completely open world, there’s obviously a development cost attached to that, affecting where you spend your time and effort. If you want to be able to, for example, go fishing somewhere, you’ve got to put a lot of effort into developing a fishing system. I felt that, rather than spread our efforts across a breadth of things, we’d rather concentrate everything on the story. I felt that was a much better use of our time. That’s not to say Dragon Quest XI is completely linear as the usual towns and villages are connected by explorable areas. Just don’t go in expecting something like Final Fantasy XV. One real core thing about Dragon Quest is how the player is the main character; they play that role. That’s why the main heroes in Dragon Quest games never speak. It’s very rare to see a game where the story is told with such depth, and breadth, without a speaking protagonist. That’s something I think people are going to react very positively. Dragon Quest XI: Echoes of an Elusive Age had sold over three million copies by last November in Japan, though that includes the Nintendo 3DS version which doesn’t seem to be coming over to Western countries.